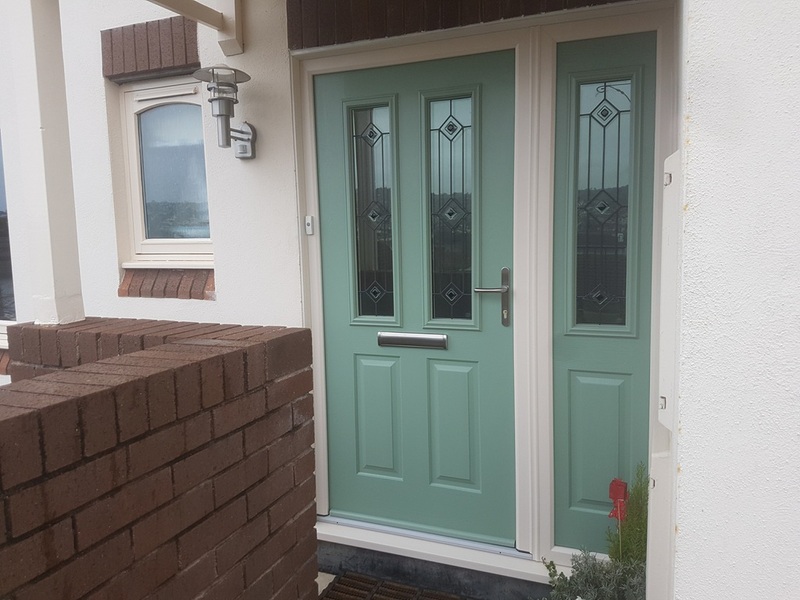 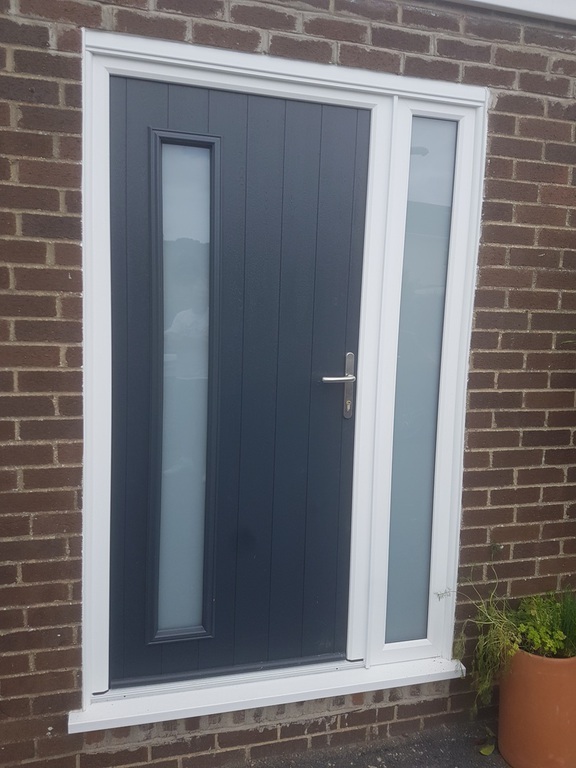 The Solidor works on the same low maintenance, timber look principle as our normal composite door range, but with one big difference - it is even more heavy duty. 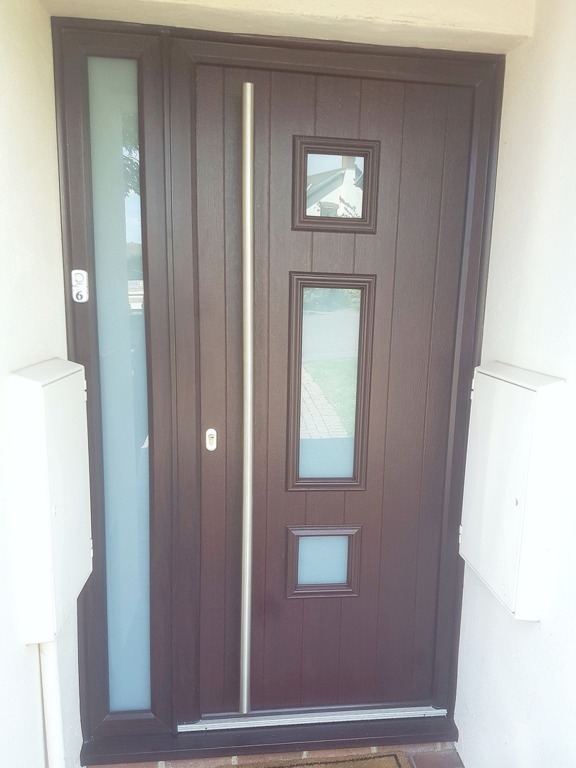 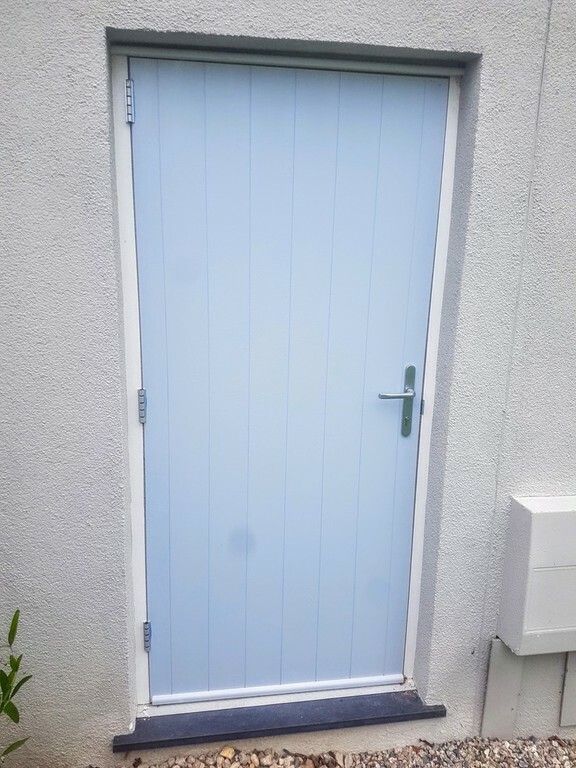 Instead of the normal dense foam core of a standard composite door, Solidor uses a heavy duty, engineered timber core faced with scratch resistant thermo plastic woodgrain skins, giving it a much heavier duty feel. 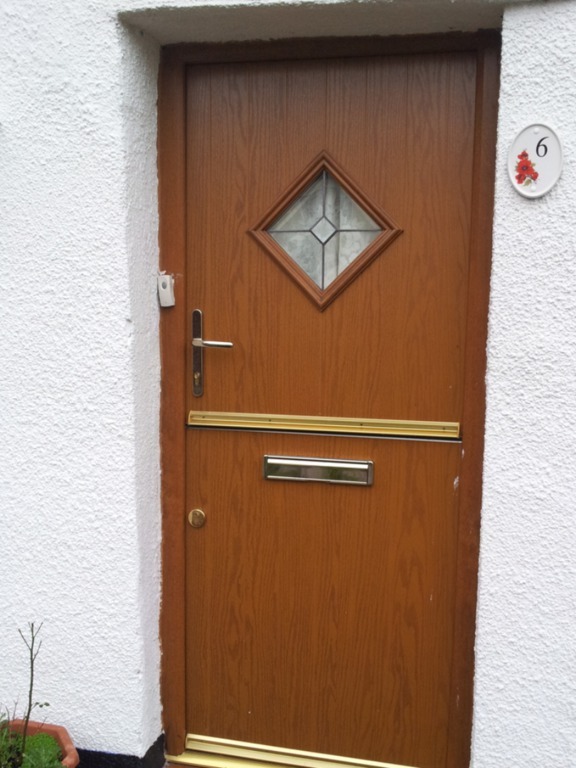 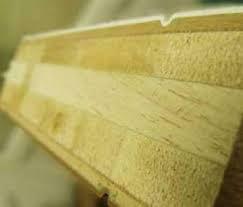 This core is also much stronger and more secure than a normal composite door, so ideal for out of the way locations. 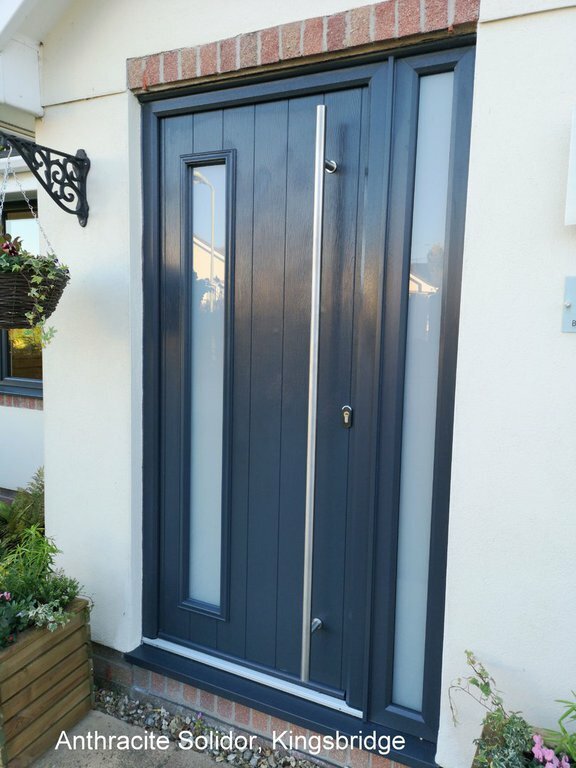 They come in a vast array of styles with a large range of furniture and locking options. 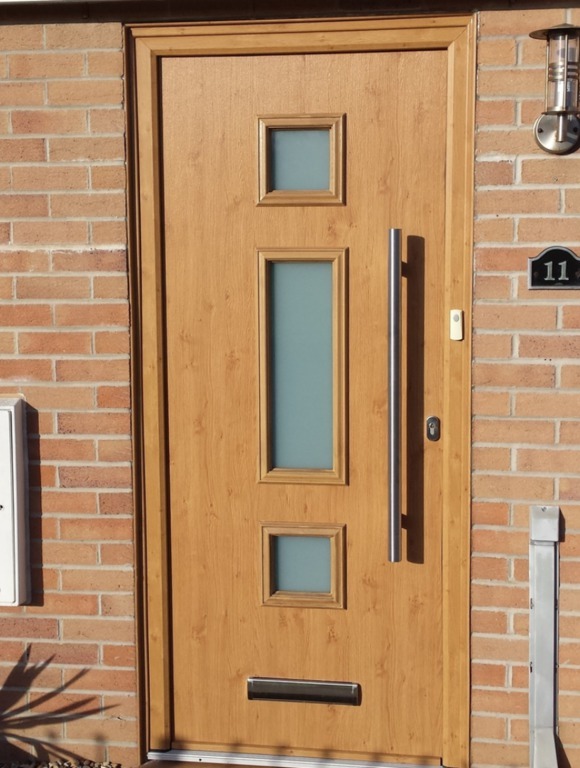 Solidors come in a wide variety of styles and colours as can be seen in the brochure. 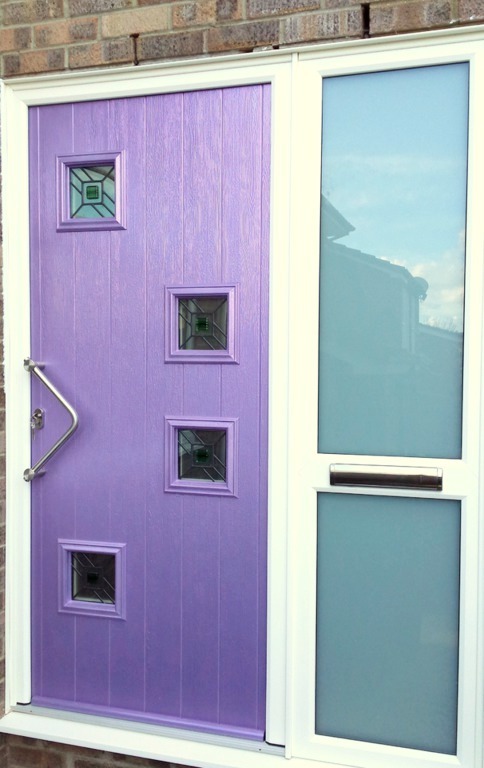 But if the normal range is not enough, and as we specialise in bespoke colour windows and doors, how about something completely different such as this metallic purple one, made to advertise the customers nail beauty business? 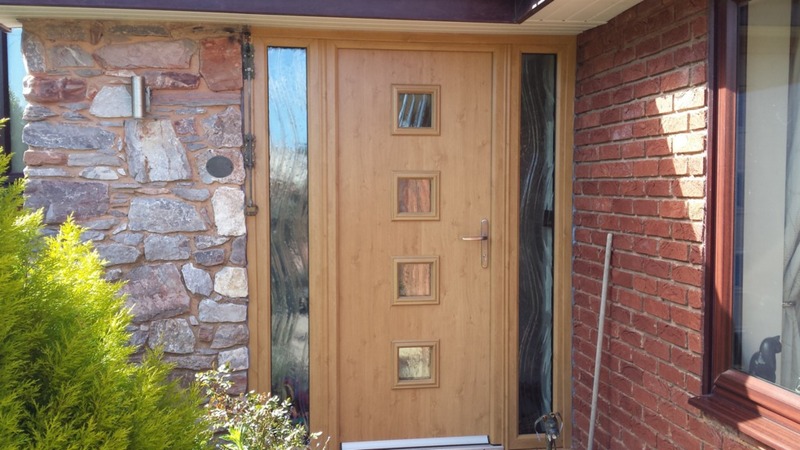 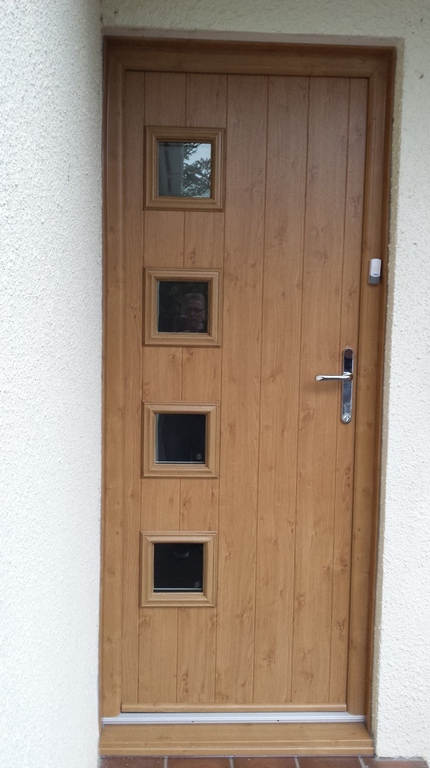 Have a look at the gallery below to see some of the many Solidors we have installed.